Between July 2009 and April 2013 we ran a project here that welcomed runners to document their experiences of running barefoot. Twenty six people participated, some wrote only an intro and maybe a post or two, others contributed more detailed reports. 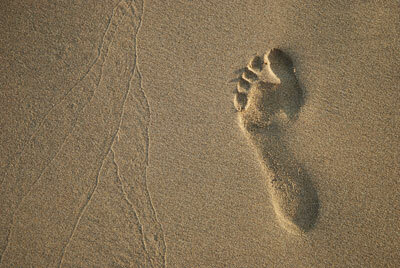 One in particular, Soul Man, wrote 74 entries on his journey into running barefoot. There is no doubt the Christopher McDougall's book, Born to Run, created a huge interest in barefoot running and a major shake-up within the running community, from beginners, to coaches, to shoe manufacturers. Whilst much of the hype has now diminished, the legacy has been a re-evaluation of what it means to run naturally. These posts in this section provide a glimpse into the lives of just a few runners who tried it. It’s been a long time, hasn’t it? Over a year, and a lot’s happened. BUT, most excitingly I have had a breakthrough with my barefoot technique, hence this new post. I find it hard to believe that it is almost 2 years since I last wrote about my own barefoot running. Many weeks and miles have passed since I first tried running without shoes back in 2009. In the meantime the subject of running barefoot and also especially running in minimalist shoes has become mainstream. I’m Jan, a 58 (nearly 59) year old man from Ghent, Belgium. I started running (at least seriously) in 2000, 2 years after my 18 year old son Lieven died from an asthma crisis, and after two years of heavy drinking and smoking. Since then, running was (and fortunately still is) my way of dealing with the hardships of life. The debate continues — and probably always will — about what is the best foot strike pattern for runners. Should we be touching the ground first with our heels or forefoot? As usual in these highly contentious areas the answer is: it depends. 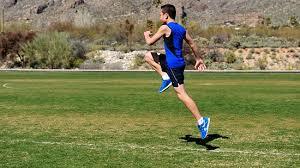 It depends on the runner, the distance, terrain, fatigue and of course speed, as well as many other factors too. 22 miles this week. Not that much, but had to take a couple of days to recover from the festival! 4 sessions, 3 runs of about one hour and one of 45 minutes because I’d eaten a lot of crap that day (white bread, sweets and crisps) and felt awful on my run – headache, stomach cramps, just felt awful so I went home early!